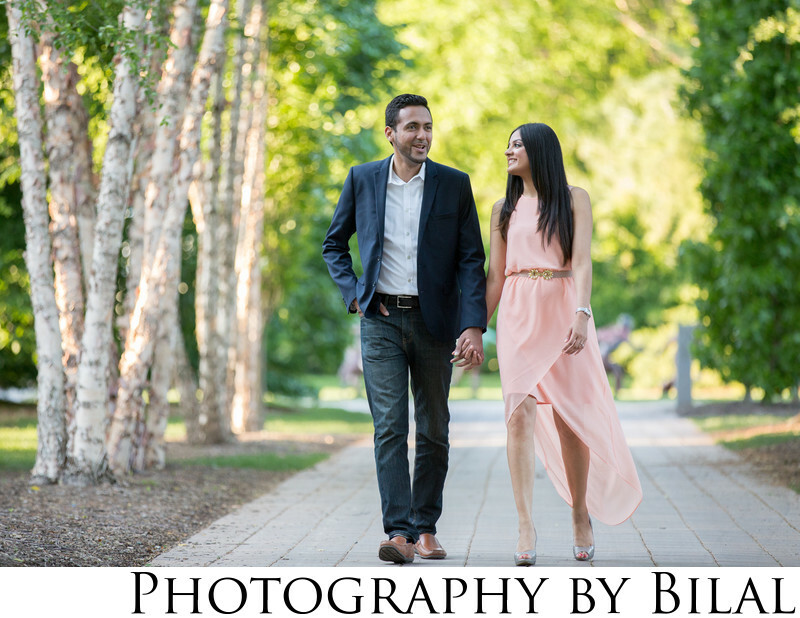 I love the candidness of this photo from Sahil and Ishneet's engagement session. As a NJ wedding and engagement photographer, my mission is to always capture those in between moments. This shot was captured at Grounds for Sculpture in Hamilton NJ, one of the best spots for engagement photos.